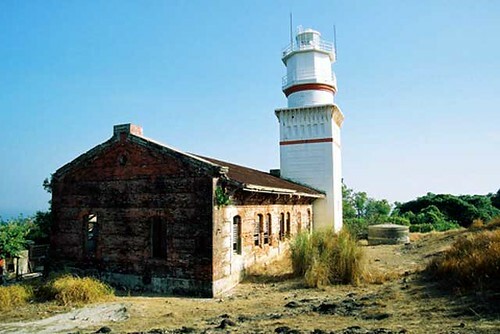 This entry was posted on January 2, 2007 at 9:36 am	and is filed under Industrial Heritage, Lighthouses, Zambales. You can follow any responses to this entry through the RSS 2.0 feed. You can leave a response, or trackback from your own site. there are many ancestral houses in Zambales one of the most famous is the residence of Ramon magsaysay in Castillejos, theres also the Camara house in Iba. Also worth visiting is the Saint Augustin Church in Iba.. I have a complete list of all 24 spanish lighthouses in the philippines and where to find them. A sailor also commented that there was one in cavite. Why are the old and historic churches in Zambales not included in your list of historical Zambales sites. The Churches of Sta. Monica in Botolan, San Agustin in Iba (having one of the only two examples of “espadanas” in the entire archipelago), San Andres in Masinloc and San Miguel Archangel in Sta. Cruz certainly deserve mention. The church of San Guillermo in San Marcelino (with its bell dated to 1848)is very fine example and one of the few untouched exteriors of the American colonial type. The church of San Andres, undoubtedly, deserves a UNESCO World Heritage Site designation. Lighthouses are fabulous but there are more to Zambales than SBMA and Barrio Barreto with its beaches, bars and ubiquitous prostitutes! Go north and you’ll lose your head in Zambales! how to get to camara houseL?